I don't know about you, but I love weddings! Although I haven't been to a wedding in a while, I always think about what I would wear. 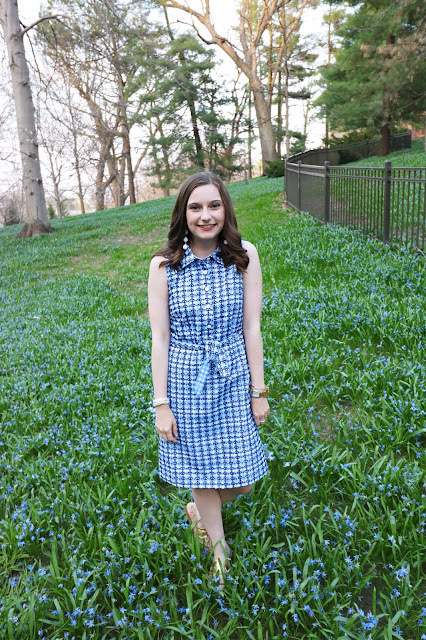 Here are two dresses and two ways I would style them for a perfect wedding look. Look 1- This first look is perfect for a more dressy affair. The heels are closed toe so they are great for an indoor wedding. Add some light gold bangles and a simple clutch to balance out the print of the dress. I have this Lilly dress and I think it would be a great wedding dress! Its super flirty and fun and just the right amount of dressiness in my opinion. Look 2- The second way to wear this dress is a little more casual. I paired the dress with a playful bag, pair of sequin wedges, and a bold statement earring. I would wear this look to maybe an outdoor wedding. The wedges are usually more comfortable then heels so they are great if you want to dance all night long. Look 1- A lot of people don't think you can wear a white dress to a wedding. But, I think not! If you accessorize it the right way I think a white lace dress is a great option. For the first way to style the dress I used all black accessories. Pair you dress with a bold black statement necklace, black wedges, and a black cross body to mimic a tuxedo look. 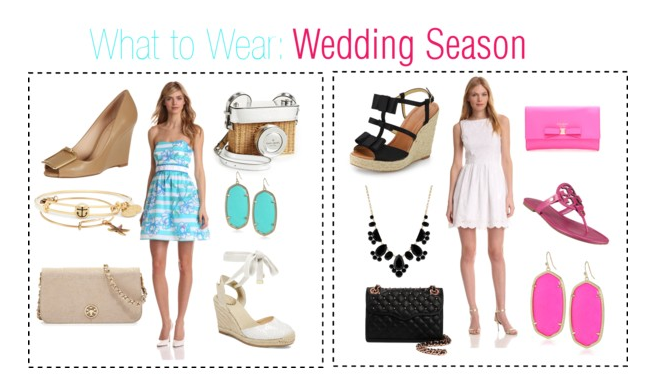 Look 2- I think this look is a perfect beach wedding look! Pair your simple white dress with a pair of bright pink sandals, statement earrings, and a fun clutch. With these bold accessories it will brighten up your simple dress. If pink isn't your favorite use whatever color you please for you accent color!